These sheep have thrived in Orkney for thousands of years, having been farmed by the original settlers who built the Ring of Brodgar and Maeshowe. Rolie fleeces lined the beds at Skara Brae and kept our ancestors warm in a variety of ways. The sheepskins are a perfect insulator and would have been used to sit against for comfort and under their feet for warmth. 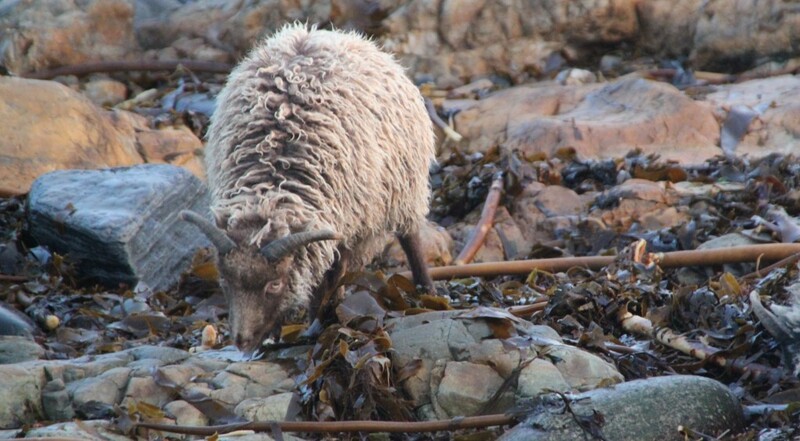 In winter when the native grasses have been covered in salt spray the seaweed that is washed up on every tide provides a high protein food that the sheep love to graze on. In summer the ewes cannot wait for their lambs to be old enough to take out onto the rocks to eat the many different species of seaweed the low tide reveals. On the rocks the sheep are almost invisible thanks to their beautifully camouflaged fleeces. 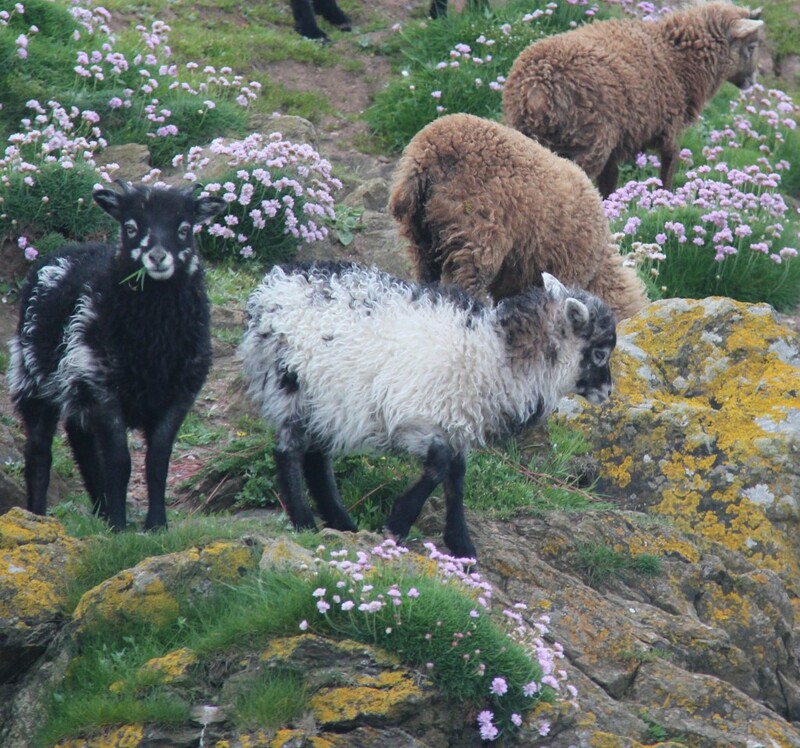 Our flock of North Ronaldsays is the second largest flock in the UK. The scarcity of these sheep makes them a rare breed and by supporting our flock, you are helping to conserve their unique genes.